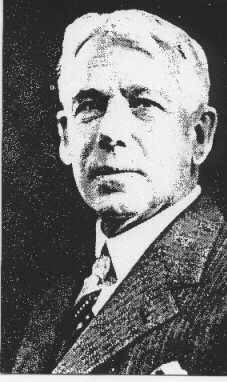 Dr. Albert Cotten Grier was the Founder of The Church of Truth and became a prominent leader in the New Thought movement. He studied at the University of Michigan where he graduated with a Degree in Science in 1886. He then studied for the ministry in 1890 and became a Minister in the Universalist Church in Spokane, Washington. Grier eventually emerged from the Universalist Church, going on to establish a denomination that would dedicate itself to the rediscovery of the vision and genius of Jesus, and the power of Love and Wisdom that is inherent within the teachings. He established his first Church of Truth in 1913, which was the first of 11 Churches of Truth founded by him in the early 20th Century. Grier's original vision was for a Church whose plaform was wide enough to accept everyone; a community whose goal would be to assist each individual in their own pursuit of the Truth, while honoring the spiritual and philosophical traditions of all people and cultures of the world. His aim was to create a place which would heal the total human being--mind, body and soul--creating a full awakening of the Chist Within. As a minister, Reverand Albert Grier became a major influence to the early New Thought Movement, working closely with other prominent leaders such as Ernest Holmes, and leaders in both the eastern and western traditions. He taught physical, mental, and spiritual healing through the knowledge and practical application of Universal Principles and was known as a gifted healer who could demonstrate miraculous healings. He taught New Thought Principles along with the teachings of Love and Wisdom from early Christianity in much of his great writings. He consistantly spread his word through lectures as well as books and continued his ministry until his death in 1941. Why I Call Myself A Christian - Excerpt from "The Truth Way"
The Relevancy Of The Bible In New Thought Christianity - Is the Bible still relevant for a New Thought Christian? Esoteric Christianity - There is more to Truth and Reality than what elementary minds would want to pursue and consider.